DLC: Now or Later? Be heard! The new industry standard: Downloadable Content (DLC). When PC gaming was in its prime, Expansion Packs for games were all the rage. For the price you paid, typically half the cost of the original game, you could nearly double the content and expand the life of your game. Not many people minded, we were excited to see more things for our favorite games. Something to tide us over until a sequel arrived. Then came the era of DLC, and downloadable add-ons being annonced before a game was released. When announced too soon (such as before the game is released), or when underwhelming (for instance, unlocking new costumes which were actually included on the disc for $4), peopple tend to complain. The biggest argument, and sometimes valid, is this: if the content is finished when the game is shipped – why isn’t it on the game disc? Other games release it so soon that it was obviously under development when the game was released – so why wasn’t it released as a free add on, or why wasn’t the game delayed? Unfortunately for developers, there is practically no happy medium of knowing the time frame to make gamers happy, when it comes to DLC. 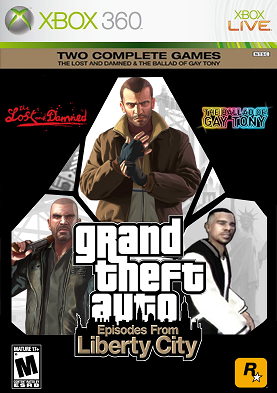 When RockStar Games released the first expansion for Grand Theft Auto IV, nearly 10 months after the game was released, they obviously took their time, after the game itself was released, to work on something worthwhile. Still, the hype had gone from the game, and while the Lost and the Damned was well reviewed, the sales were admittedly a bit lackluster. So what is a development studio to do? Too soon, or too obviously planned, and we the gamers ask why it wasn’t part of the retail package. Too late, and the company may not even make back some of the money they put in to the additional content. We know that DLC is a part of our gaming landscape, from this moment on, and companies will spend this next decade getting their timing down and milking us for more money. I don’t mind thinking of DLC as a mid-way point before a sequel, but even I can’t offer the solution as to “when” DLC should be released. So what say you? When do you want your DLC? Sooner rather than later? Or does new DLC for an “old” game make you go back and play it again? Do you get angered when DLC is offered very near the game’s retail release date? I’m interested in seeing your feedback!